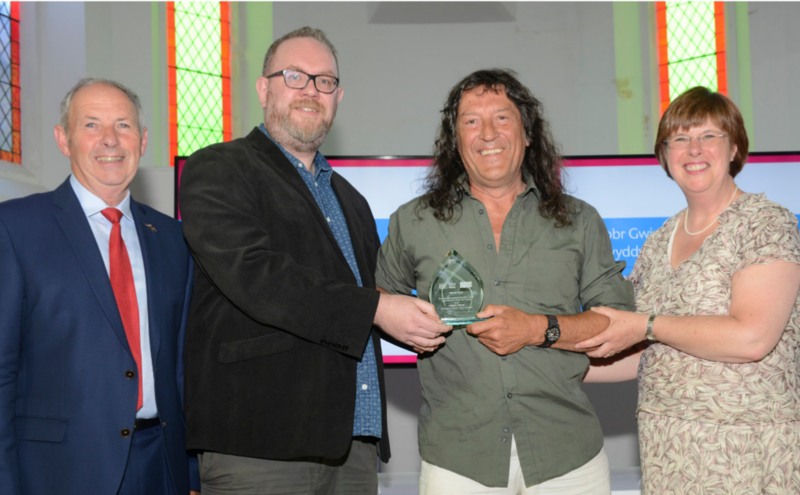 Citizens Online is delighted to announce that a volunteer from its Digital Gwynedd project, has won the ‘Digital Volunteer’ category at the Wales Volunteer of the Year Awards 2018. Martin Hunt, from Aberdesach, won the award for his role as a Digital Champion. He supports the local community to get online at free drop in sessions held every Friday at Penygroes Library. The sessions enable people to improve their digital skills and Martin goes the extra mile by arranging sessions on alternative dates should any customer be unable to attend on a Friday.